Take the tradition of flowers hanging from every building in Europe, and add in some good-old-fashioned American ingenuity – you’ll get our new European Series Windowbox!  Flower Framers has manufactured the finest windowbox you can buy since 1994. The European Series box is made with the same standard of quality, but t a price that everyone can afford. Stainless steel brackets and mounting bolts make installation easy, reliable, and designed to last as long as your home. 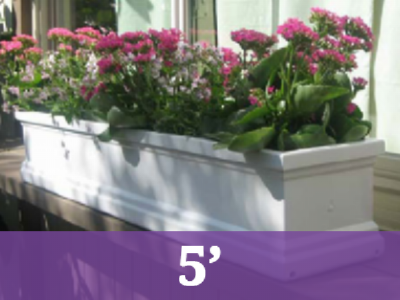 The box will hold up to one gallon plants for fabulous displays of color in any season. They are made of premium-quality fiberglass, and can be easily painted to match your home. Don’t be fooled by other boxes that look the same but are made of vinyl & plastic that will yellow over time. 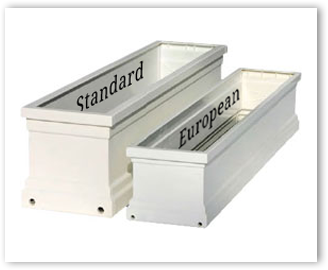 The European Series window box will add to the value of our home for years to come. Good for tighter spaces such as a dormer window. Easy to hang bracketing system, for side of house or railings. Drainage mat and drainage holes included for superior plant health. Available in white, may be easily painted to match any home.